We, at Sciences Po, Paris are organizing a simulation of the Rio+20 conference on sustainable development which will be held next June, at our university. The project, which we call ‘Paris+20′, will be essentially a model united nations conference with participants from a number of different universities in Paris. We are also inviting academics, researchers, people working in the UN/NGOs etc to come and make presentations, so as to enrich the content of our simulation and make the outcomes actually usable. The main goal is to get the youth involved in SD issues by allowing them to experience the negotiation process first hand, encouraging them to become active locally, while also attracting the public’s attention. A secondary goal would be to arrive at potential solutions or questions that need to be addressed at the actual conference in Rio. Our conference is scheduled two weeks before Rio+20, from the 4th to the 8th of June. We have the support of UNESCO at the moment and with their backing, are pushing for the presentation of our ideas at Rio (to be discussed in January). We believe our idea is worth spreading, as we could see a number of students in other cities willing to run their own simulation and be part of “MyCity+20″. We have Rome+20, Amsterdam+20, Colombo+20, Mexico City+20 on board and we’re in the process of contacting and speaking to a number of other people, and we are building a platform to support them. 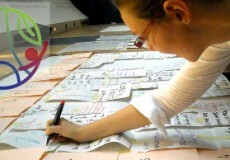 What we would love for you to do, is exactly the same thing within your city: share the idea, have a simulation and finally, work together to see what we can learn from these MyCity+20 projects in Rio+20. The challenge is pretty big, but you are not starting from scratch: we already have brochures prepared for the participants, for the finances and are soon to develop a website which should lessen the work load considerably. If you are interested in working on this project or have any questions, please contact mycityplus20(at)gmail.com. If you are based in Paris and want to join Paris+20, please use parisplus20(at)gmail.com.